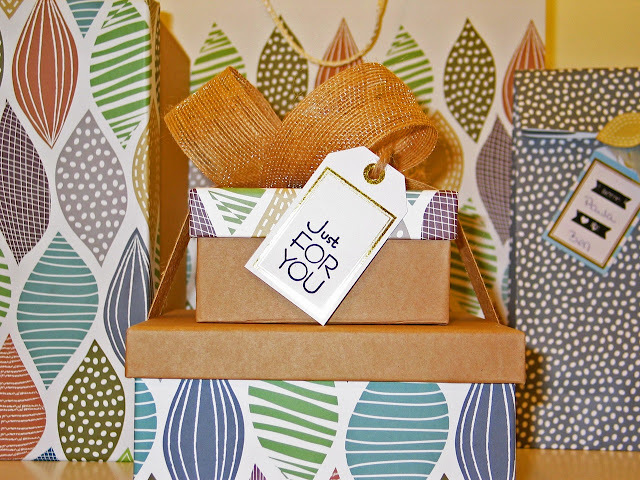 Shopping for a housewarming gift might seem like an easy task on the surface, but a gift giver actually has to consider a lot of factors in order to find a gift that the new house occupant will appreciate. The gift should be something that the receiver doesn’t have yet, but it should also be something that fits the personality of the receiver. At the same time, it should also be practical and should go well with the style of the new home. To help you come up with an appropriate gift, here are some ideas that any new leaser or homeowner will love to have. 1. Microfiber mops and towels. New homeowners never seem to have enough cleaning materials when they move into their new home. Cleaning cloths and implements usually aren’t high-priority items, and they can sometimes get lost or get left behind during the moving process. Microfiber mops and towels are perfect housewarming gifts due to their versatility and efficiency as cleaning materials. Made up of fine, microscopic fibers, these mops and towels are designed to pick up dust, grime, and particles on surfaces without needing the help of soap or detergent. The recipient can immediately put these gifts to good use after the housewarming party. 2. Ready-to-eat food or microwaveable meals. There might be an abundance of food at the housewarming party at the moment, but you can be sure that your host will be too busy cleaning up after the event to even cook and eat. High quality, ready-to-eat food items might not seem like memorable gifts, but they go a long way in helping your hosts resume their normal lifestyle after the big move and house party are both over. Make sure to spring for the good and pricey stuff, though — hardly anyone will really appreciate being gifted packs of instant ramen on their housewarming! 3. Scented candles. Staying in a new home requires a lot of adjustments on the part of the homeowner, including their sense of smell. A newly furnished home with its new furniture, furnishing, and coat of paint, can be an assault on the senses. You can help lighten things up and make the new place homier with a thoughtful basket of scented candles. Make sure to pick mild scents; while you want to help mask that newly furnished smell, you also don’t want to introduce a powerful scent that can clash with the existing smell. 4. Wall decors and picture frames. Picture frames and wall decors may seem like awful gifts when you were younger, but owning a new home can change that perspective. These gifts help the homeowner put the finishing touches on their new home and encourage them to create new memories and take photos that they can frame. If you’re going with this gift, it’s best to splurge — the difference between a cheap frame and a high quality one can be pretty obvious. Also, be sure to check the style of the house beforehand to ensure that the frames and wall decors go well with the theme or style preferred by your hosts. 5. Power tools. The house may already be a done deal, but your housewarming party hosts may feel like adding a few personal touches to the property every now and then. If the receiver is a DIY enthusiast, brand new power tools are gifts that will truly leave a good impression. To make sure that the splurge is worth it, test the tool out before handing it over to its new owner. You should also make sure to include the warranty card in the package, just in case something goes wrong and they have to return it to the vendor for repairs. These 5 gifts will be immediately put to good use after the party, and someone who’s changing addresses will definitely appreciate any gift that will make the transition easier. Which of these best fits the personality of the person you are giving it to? I have just moved into a new house but I didn't get a chance to throw a heartwarming party yet. I think for me, scented candles would be the perfect gift. Think it's time to have that party! I love scented candles as well. THese are great, I usually get the forgotten items or lost during the move item, like a can opener, batteries, extension plugs and soap. Yes, those are all great gifts. Those small things do have a way of getting lost on boxes or rooms. This is perfect! I'm always running out of ideas on things to get people, but these are some to definitely keep handy! Thanks, Ni'Kesia. Glad it helped. These are some really good housewarming gift ideas. I really love the Scented candles idea. You can never go wrong with that. I would never turn away a scented candle! Glad you liked the ideas. Great ideas!! Also those command picture hangers and any nails or picture hanger items are a great idea as well. Those are always needed. I love that idea! Especially the command hangers so that new walls don't get damaged! These are all really great and thoughtful gift ideas! I love the idea of gifting candles but the other suggests are so practical and not things people may have when moving out for the first time! Glad you liked the list. I find the practical gifts are better sometimes. Have fun at the housewarming! Oh cleaning cloths are definitely welcome, and who can say no to food?? I love your list, it's practical and original, and I can imagine a new house owner being happy to receive any of the items you mentioned. Thank you, Flora. I agree whole-heartedly with the food! You have some great ideas! I never thought of microwaveable meals or power tools, but both would be awesome gifts! Thanks! I think food and tools would be great, too. Thanks for stopping by! I like the idea of ready to eat meals, that's a lovely idea. You outlined some really great ideas here. Oh yes! Scented candles make for a perfect gift when you don't have a clue what to bring to a housewarming party. Everyone loves candles, you really can't go wrong with that one. Yes, I agree wholeheartedly. Candles = good! Haha! That's a great way to become a minimalist really quickly! When my brother got his own house, he wanted practical gifts too. I'm glad more and more people prefer such gifts instead of the useless and expensive ones! Makes more sense, right? We've been trying to minimize, so why would we need trinkets or something? Practical is the way to go. Plants are a great idea! Pretty things that help clean the air. Should've put that on the list ~~ for people who have green thumbs.